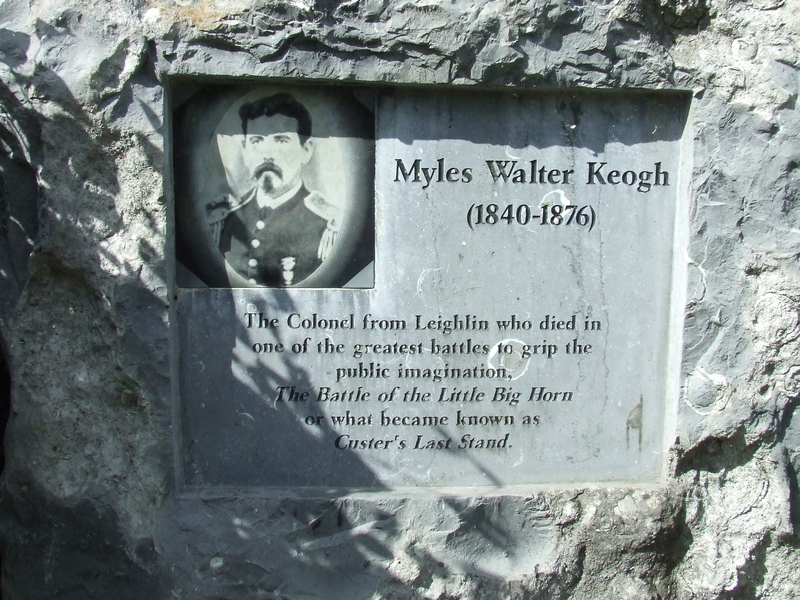 Myles Walter Keogh is perhaps one of the most famous Irishmen to be involved in the United States military. He achieved immortality on 25th June 1876 when he was killed with Lieutenant-Colonel George Armstrong Custer and 261 other US personnel at the Battle of the Little Bighorn, Montana- Custer’s Last Stand. Although he became famous for events a decade after the Civil War, Keogh had served as an officer in the Federal Army from 1862. 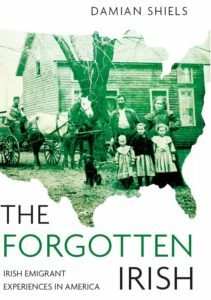 He arrived in America having fought with the Battalion of St. Patrick in the Papal Army in 1860. He initially became a Captain on the staff of General Shields (a fellow Irishman) and later General McClellan, but he was to spend the majority of the war as a cavalry officer. His most notable service was with General John Buford, and Keogh was with him when his troops opened the Battle of Gettysburg. Following Buford’s death the now brevet Major Keogh joined General George Stoneman’s force and moved to the Western Theatre. He participated in Stoneman’s cavalry raid towards Macon, Georgia, but was captured with the General and some 600 men at the Battle of Sunshine Church on 31st July 1864. Keogh spent the next number of weeks in captivity before General Sherman secured his exchange. He spent the remainder of the war in a number of raids behind Confederate lines, finishing the conflict with the rank of brevet Lieutenant-Colonel. 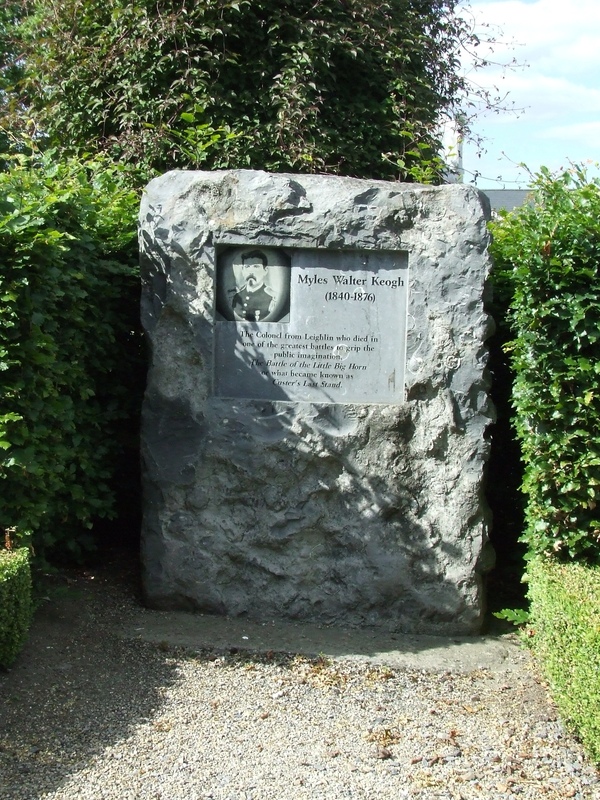 Keogh was born in Orchard House, near Leighlinbridge, Co. Carlow in 1840. 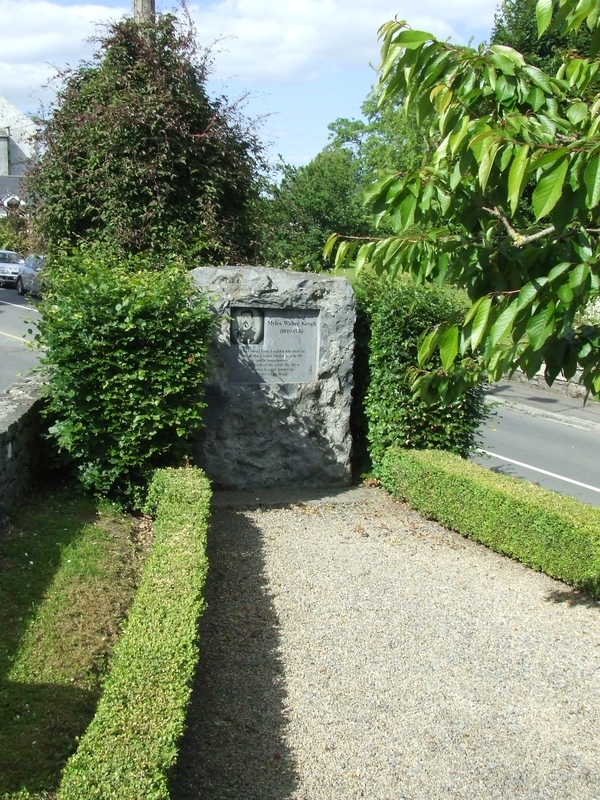 The picturesque village is very conscious of its heritage, with numerous plaques and memorials located in the main village park. The Keogh memorial is one of the largest in the town, and shares its location across from the park with that of scientist John Tyndall. The National Museum of Ireland’s Soldiers & Chiefs exhibition has a section on Myles Walter Keogh, which includes his 7th Cavalry epaulettes, on loan from the Gene Autry Museum of the American West. 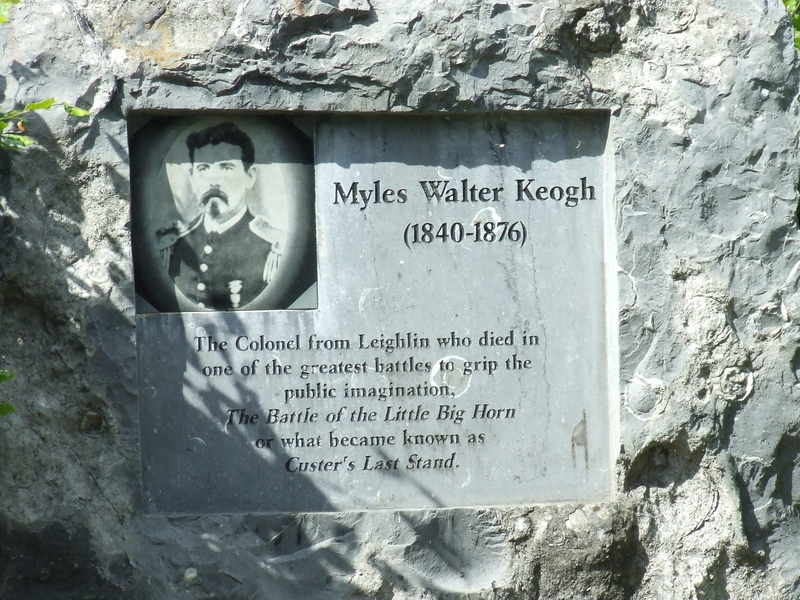 Might you please advise me how I’d procure a print or painting of Colonel Myles Keogh? Hopefully an action shot on horseback during the Battle of the Little Bighorn. Many thanks for the comment. There are a number of him available as far as I am aware- my friend Robert Doyle who runs a site on Myles here: http://www.myleskeogh.org/ and you can contact him through myleskeogh.org@gmail.com I am sure he will be aware of all the different options available! do you know how many siblings Myles Keogh had, what are their names? and did he have a girlfriend(s) what were their names? I think it was three sisters- a friend of mine Robert Doyle is one of the experts on him so if you like I can put you in contact with him.